Imagine running and hiding with your family from a huge mob that can find you almost anywhere. Your father is an ex-criminal and your uncle is a crime lord. You switch towns when the mob finds you but the moment you are a center of attention you move again. this is what Nick Pearson’s life is. Nick Pearson is an average teen in Stephon who excels in science, likes to play video games, and is interested in listening to rap and hip hop. Or at least that’s what he has been told by a secret government agency called WitSec that is trying to protect his family’s life from not being killed by the gigantic mob. His real name is Tony Bordeaux and his family and himself are constantly running from the evil that had haunted their past. Members of WitSec are sworn to not tell anyone about their actual identity and are suppose to stay as low key as possible so that they are not hunted down. Tony, or now known as Nick had just arrived in Stephon and had already met trouble when a group of bullies decided to beat him up on his first day of school.This is because they thought that the that Nick was flirting with one of the bully’s girlfriends. While he is being beat up he is saved by a kid named Eli Cruz. Eli and Nick became friends later and Nick rights the Rebel Yell with Eli. Things are becoming normal for Nick and he is very careful not to be a big source of attention until he finds Eli dead on the floor. Not only was that big news for him but he also finds out Eli was about to uncover a major conspiracy about the town. Nick is now torn between avenging his friend’s death, with the help of a girl he is fond of, or laying low like the WitSec has taught him. 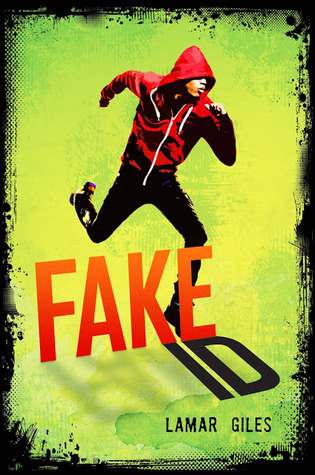 Fake ID by Lamar Giles is a book that combines action and mystery very well. The plot of the story was strikingly different from other books but in a good way, however, there were some parts of the book I found boring. The reason why I found some parts boring was because the author talked about topics in the book that were not relatable to the actual story line. Aside from that I thought it was a wonderful book that explained and showed characters really well. An example of this is when Nick is talking to the reader about his backstory. I would recommend this book to a young adult audience and people who like action and mystery.